An ongoing copyright case closed on Monday after the US Supreme Court refused to hear an appeal about Sherlock Holmes stories in the public domain. The Court left intact a ruling from the seventh US circuit court of appeals that 50 Sherlock Holmes stories published before 1923 are no longer protected by copyright. An appeal to that ruling had been filed by the Arthur Conan Doyle Estate, but their last-ditch effort to preserve an undoubtedly generous stream of income was denied. The Estate can, however, still collect royalties on the final 10 Holmes stories, which were published between 1923 and 1927 and remain protected by copyright. All this hoopla began last year when writer and attorney Leslie Klinger put together an anthology of Sherlock Holmes stories from modern writers. Klinger was asked by the Conan Doyle Estate to pay a $5,000 licensing fee, which he refused. Klinger then sued the estate and a legal battle ensued. 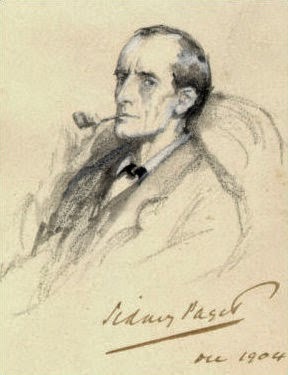 In the meantime Klinger's publisher, Pegasus Books, refused to publish the book after threats from the Conan Doyle Estate to stop sales from Amazon and Barnes & Noble. Presumably, the book - entitled "In the Company of Sherlock Holmes" - will now move forward with publication. This is good, not just for those who want to read the original Sherlock Holmes stories, but also those who want original fiction and adaptations (BBC's Sherlock is excellent). But what do you think? Should Sherlock Holmes be free or should it be licensed by the estate? Should other authors be allowed to create their own versions of the character? Get Operation: Masquerade for only 99 cents!